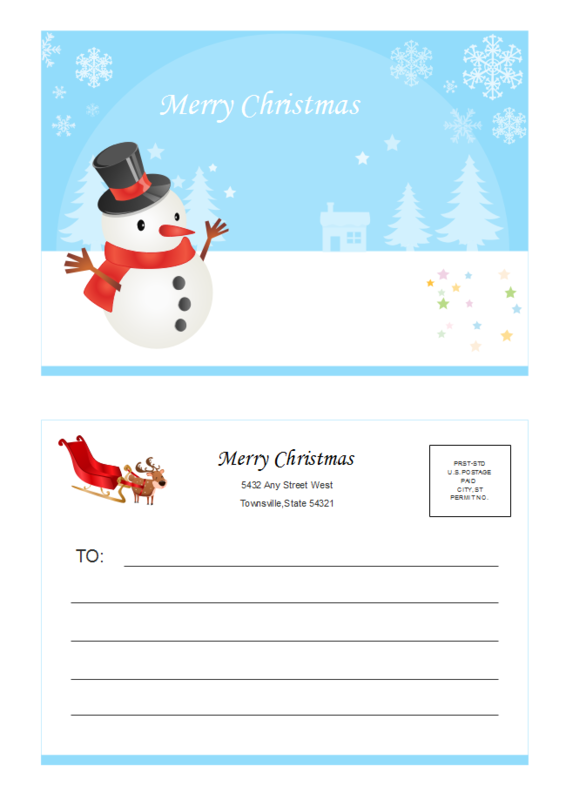 Description: This Christmas postcard template allows you to customize the design on your own. You can choose to use it directly or change the elements, text, and colors up to your own ideas. Our card maker offers a whole set of Christmas clip arts which you can use to design your own Christmas postcard. It takes only a few minutes to pick the elements, arrange them, add greetings and print.